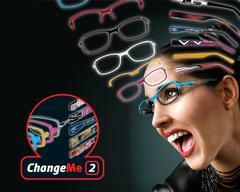 Downtown Optical is Central Wisconsins premier destination for Change Me Eyewear. Downtown Optical carries a full line a Change Me Eyewear. Over 500 combinations of frames and interchangeable temples. To place an order, please call 715-298-3308. Shipping available Worldwide.